Marino is a young French orphan; his parents (unknown) died in as yet untold circumstances. He was raised by the kindly Père Michel and his retainer Louise. Once a teenageer, Marino embarked on a ship to America for a vacation and fell accidentally overboard. This is when he discovered that he could breathe underwater. He soon met two young Atlanteans, the pretty Lida and her brother Varo, who introduced him to the peace-loving City-State of Atlantis. 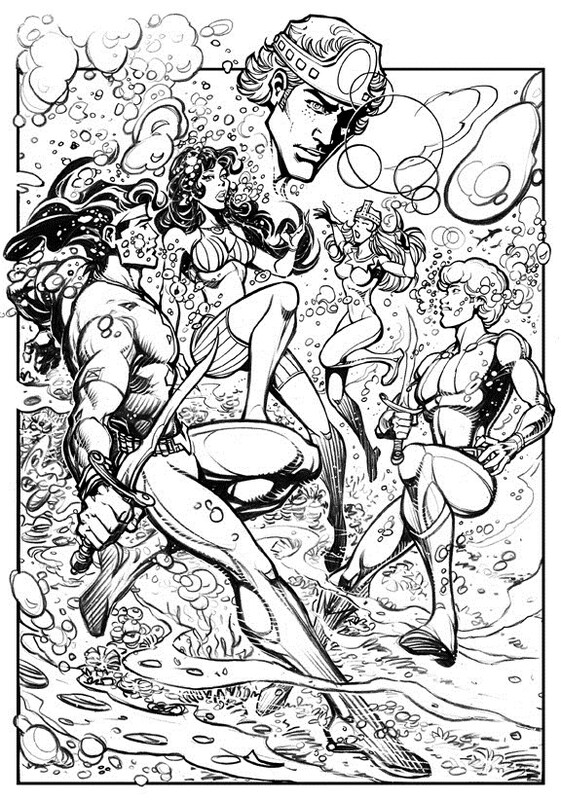 Marino then fought alongside the Atlanteans against the Sirenides. He traveled to the underwater kingdowms of Kosmos and Xiran. He also fought human villains such as mad scientist Professor Shawn, Potts, the owner of a Marine Circus who sought to capture and exhibit Atlanteans, and the terrorist Wade, aha The Shark, who used his control over ocean creatures to blackmail shipping lanes. At the behest of Archie Bolt, Marino later joined the super-group known as Kidz. He and Ega recently helped Tanka, Commander Neptune and the Sea King to regain control of Kosmos which had been usurped by Tabor. There is a grown up version of Ega on the parallel earth called Urth, who is a member of the Lightning Lords. Marino appears to have died on Urth.